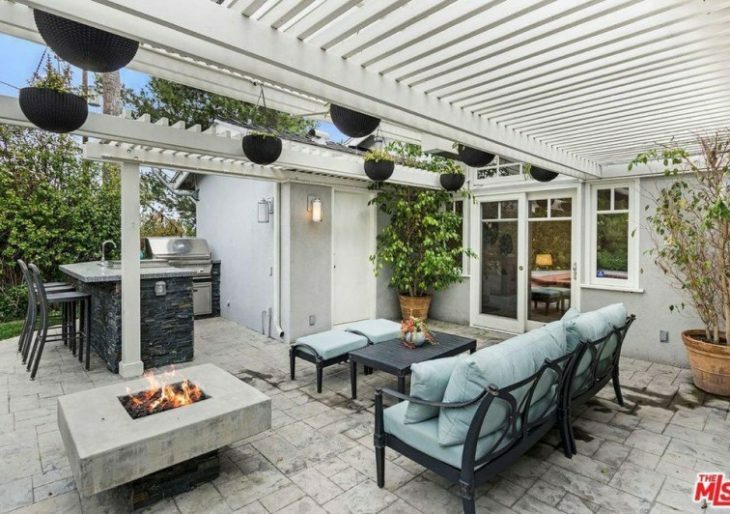 Multitalented actor-singer Keith Carradine is hoping buyers will act on the listing of his Los Angeles home for $1.6 million. But if you want to make an offer, don’t think he’s easy: he’s already accepted one, and backups are now being considered. The TV and stage star picked up the charming Studio City ranch for around $1.2 million back in 2005. Spanning 2,400 square feet, the light and airy three-bedroom, three-bath residence dates to the mid-1950s, and features many period features. The home welcomes visitors via a bright red front door. Inside, visitors will be drawn to the light-filled living room complete with a whitewashed masonry fireplace and a large bay window. The dining room features an additional fireplace and built-ins. Opening from the dining space is the bright kitchen accented with white cabinets, white countertops, stainless steel appliances, and a breakfast nook. Sliding glass doors from the dining room lead outside to a beautiful pergola-shaded area.The backyard continues to extend with plenty of lush green lawn, an outdoor kitchen, a swimming pool, and a unique guest pod currently configured as a gym. Carradine took home an Oscar for ‘I’m Easy,’ the song he penned for Altman’s 1975 classic ‘Nashville’; he currently appears as the Prez (only of the U.S., not of jazz) in the CBS drama ‘Madame Secretary’.